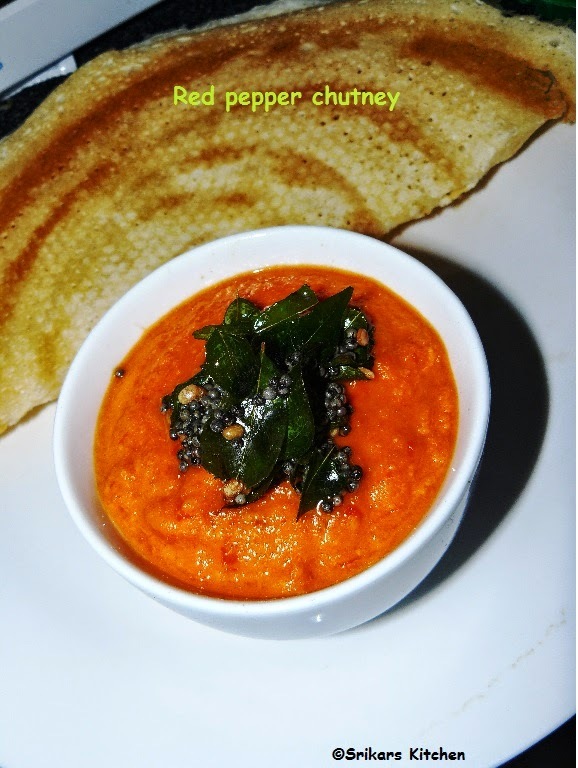 Red Capsicum Chutney | Red bell pepper Chutney | சிகப்பு குடமிளகாய் சட்னி is a simple and tasty chutney. If you bored of regular coconut chutney or tomato onion chutney then try this chutney. Heat oil in a pan, add urad dal, red chillies & roast it. Add sliced onion, chopped tomato & capsicum. Saute until soft. Make it cool & blend it to a smooth paste. Heat 2 tsp oil in a small pan, add mustard seed, little bit urad dal , curry leaves & allow to temper & add to the chutney.